Don’t miss the Premiere of 3 new films from Circle Eight. 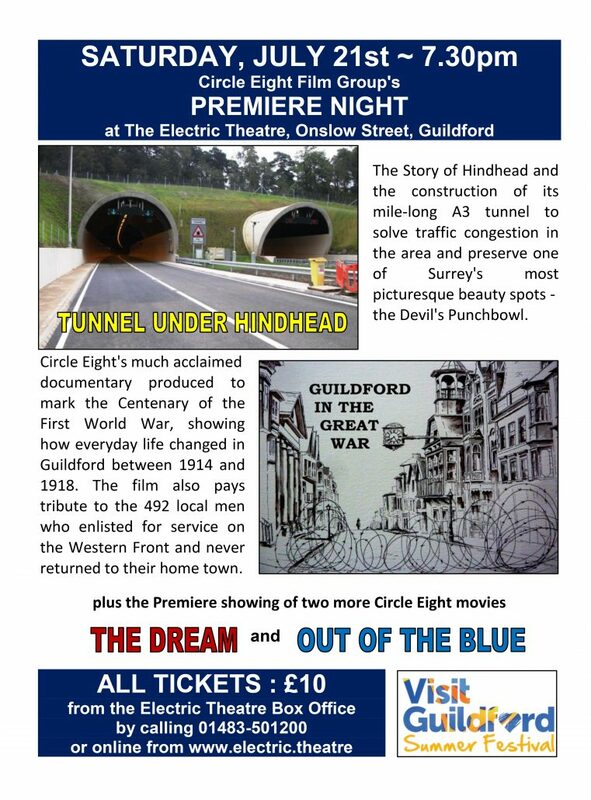 We are proud to announce our latest local interest film which tells the story of Hindhead and the construction of the largest under land road tunnel in Britain. Our new drama, The Dream, will be premiered together with a fascinating documentary called Out of the Blue. The programme will be supported with a repeat show of Guildford in the Great War, our much acclaimed documentary originally shown in 2015.